featuring 26 arrows radiating from the center of the quilt. Displayed in Alison Glass' Seventy-Six collection through Andover Fabrics. Finished size: 40in x 40in. 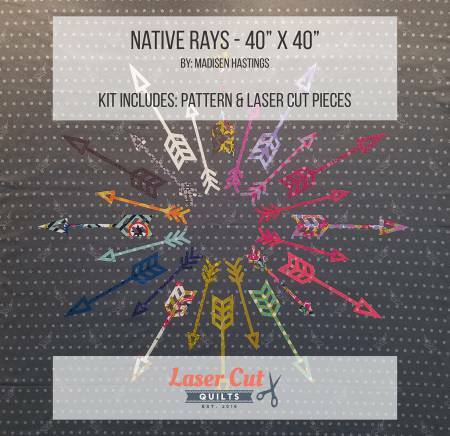 Kit includes pattern with full-size layout guide and pre-fused laser cut applique pieces. Kit does NOT include background fabric, binding, or backing fabric.